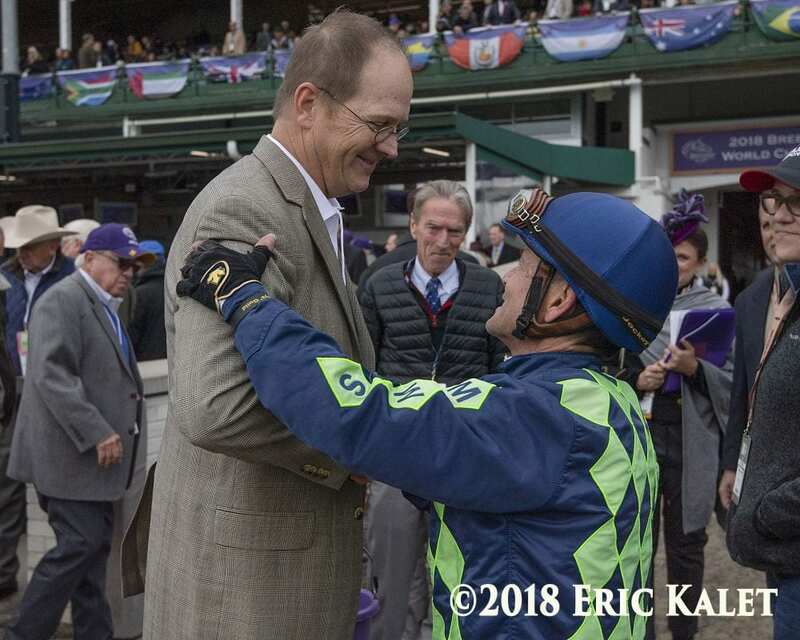 The first Breeders' Cup races haven't even gone to the post yet, and already there have been happy tears in the Churchill Downs winner's circle. A 2-year-old colt named Jack Van Berg broke his maiden in the second race on the Breeders' Cup Friday undercard, decisively drawing away from Captain Von Trapp in the stretch. It's no coincidence that the horse, piloted by Jon Court, is trained by Thomas Van Berg. Thomas is the son of Hall of Fame conditioner Jack Van Berg, who died in December 2017. The equine Jack Van Berg is owned by Mike Waters' Muddy Waters Stables. The race was the third career start for the son of To Honor and Serve. He was beaten a head in the WTOBA Lads Stakes at Emerald Downs in mid-August. The equine Jack Van Berg was bred in Kentucky by Haymarket Farm LLC. He was a $28,000 purchase by agent Christina Jelm on the 11th day of the Keeneland September Yearling sale, where he was consigned by Select Sales. “He's a neat little horse,” said Thomas Van Berg. “He's got some ability. He's a decent colt. 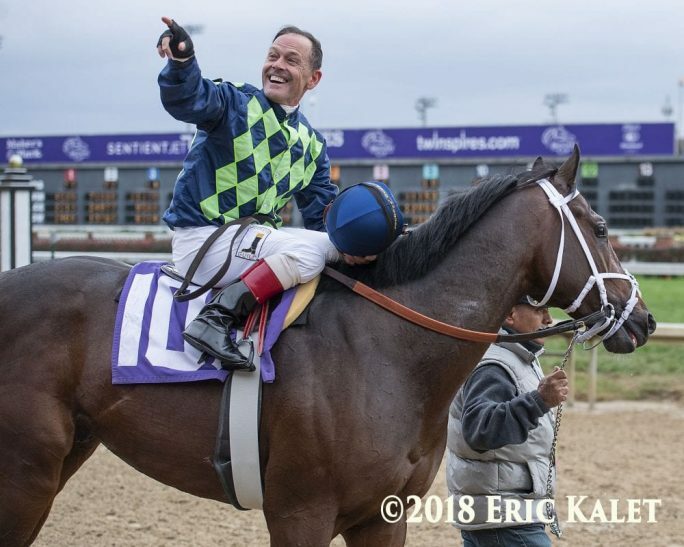 This entry was posted in Racing and tagged churchill downs, jack van berg, mike waters, muddy waters stables, thomas van berg by Natalie Voss. Bookmark the permalink.